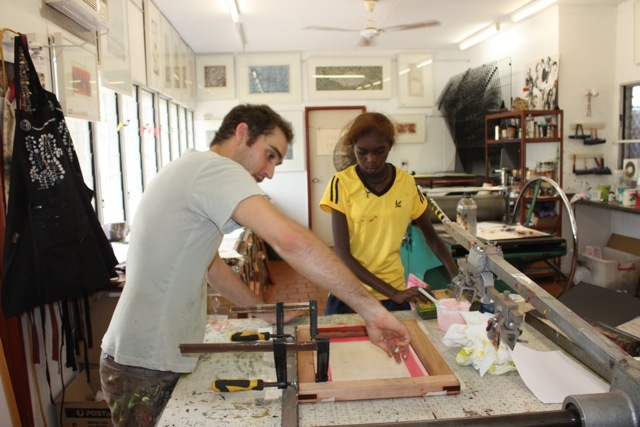 Continuing a project begun in 2009 with young Yolŋu people from Yirrkala in partnership with Buku-Larrŋgay Mulka Art Centre, TOP printmaker Sean Smith facilitated workshops alongside printmakers Annie Studd and Ruby Alderton. 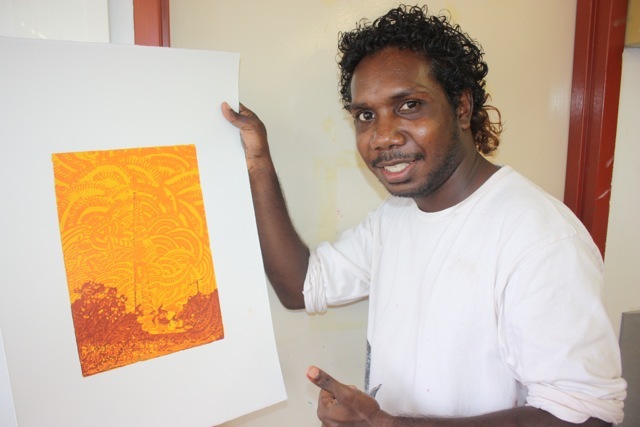 Supported by the Australia Council, participants explored personal artistic expression. They produced contemporary and sophisticated works depicting youth culture. 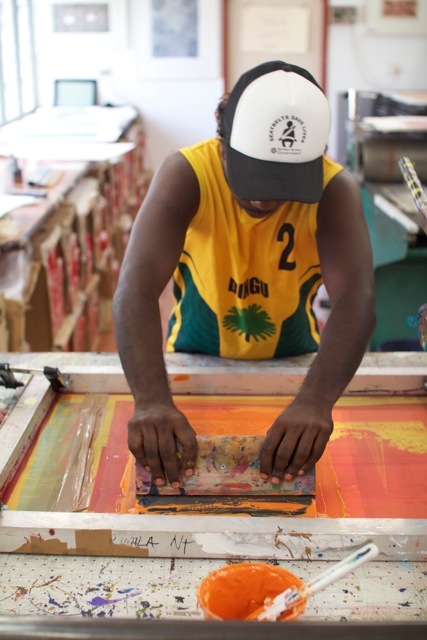 The resulting near sell-out exhibition demonstrated broad support for these emerging artists.